The First International Conference on Global Food Security, 29 September – 2 October 2013, Noordwijkerhout, The Netherlands aims to deliver state-of-the-art analysis, inspiring visions and innovative research methods arising from interdisciplinary research. Join us in this exciting opportunity to ensure that the best science is garnered to support the emergence of the Sustainable Development Goals. Achieving global food security whilst reconciling demands on the environment is the greatest challenge faced by mankind. By 2050 we will need to feed 9 billion people. The urgency of the issue has led to huge scientific strides forwards; making it difficult to keep up with the rapidly expanding volume of scientific research. Abstracts for oral and poster presentations are invited on the below topics and should be submitted using the Online Submission System by 10 May 2013. The Asian Development Bank (ADB) is lending $150 million towards a $500 million project that will build a hydropower plant with a 140-megawatt capacity. Electricity demand is growing at 10% a year, but lack of investment means supplies are not keeping up. Blackouts of up to 18 hours a day in the dry season are common, even in the capital Kathmandu. This forces businesses and households to use expensive and polluting diesel generators. 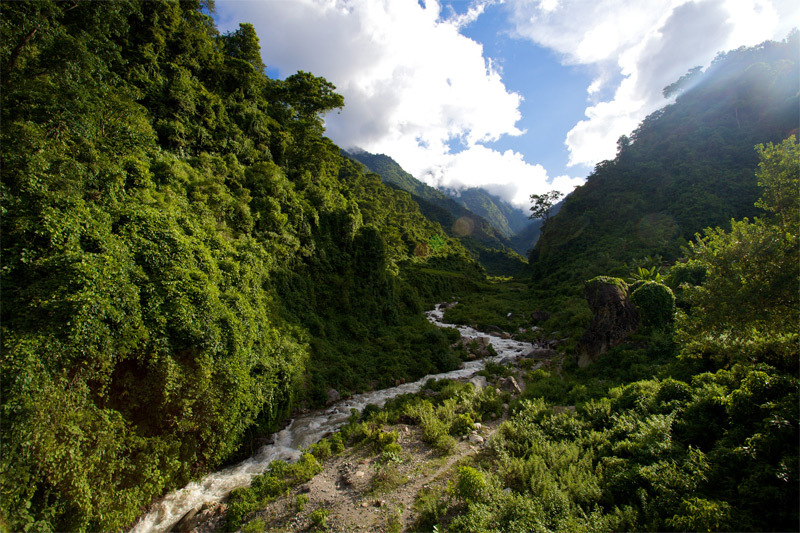 Nepal’s mountain ranges and many swiftly flowing rivers endow it with huge hydropower resources. However, the country’s total installed power generation capacity is just 700 megawatts – largely from hydropower. This represents only 1.5% of Nepal’s hydropower potential. The 140-megawatt hydropower plant, to be located around 150 kilometers west of Kathmandu on the Seti River in Tanahu district, will generate electricity year round. To ensure steady supply even during the dry winter months of November through April, the plant will be fed from a 7.26 square kilometer reservoir, making it Nepal’s first major hydropower plant with water storage capacity and a sediment flushing system. Around 85% of Nepal’s existing plants use the run of the river to generate power, which makes for lower output during the dry season. None have the means to cope with Nepal’s sediment-heavy rivers. The entire project will cost around $500 million and will be co-funded by ADB and the Japan International Cooperation Agency lending, the European Investment Bank, and the Abu Dhabi Fund for Development. The hydropower plant’s construction will follow best international practice. ADB will ensure that the appropriate social and environmental rules, procedures and guidelines are adhered to. The project company, Tanahu Hydropower Limited, will invest in health and education programs as well as income and livelihood skills training for the local communities. ADB and its partners carried out climate change impact modeling work on the project, and will do more assessments prior to its construction. InfoDev, in partnership with South Africa’s Department of Science and Technology, registration is open for 5th Global Forum on Innovation and Technology Entrepreneurship in East London, South Africa on May 28-30, 2013. The Forum’s sessions will tackle inclusive innovation, women’s entrepreneurship, mobile solutions, and more. The Global Forum attracts around 500 – 600 business incubator managers, policy-makers, SME entrepreneurs, financiers and development agencies from all continents for a unique south-south and north-south networking and knowledge-sharing experience. The Global Forum contributes to the “wknow-how” and the “know-who” in the global innovation and entrepreneurship community. Participants come to the event to be exposed to new business models, ideas and methodologies, as well as to meet people with similar interests in other countries and other industries and to explore partnerships and capacity-building opportunities. It will focus on enabling innovation and enterprise development for economic growth, job creation and human capital. Within the latter context, there will also be ample attention for innovative economic opportunities for women and youth. For more details and updates, visit the Global Forum’s official website and follow on Twitter, Facebook, and Google+. 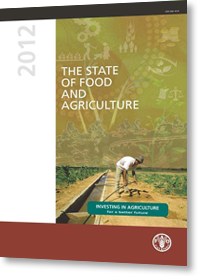 Investing in agriculture is essential for reducing hunger and promoting sustainable agricultural production. Those parts of the world where agricultural capital per worker and public investments in agriculture have stagnated are the epicentres of poverty and hunger today. Demand growth over the coming decades will place increasing pressure on the natural resource base. Eradicating hunger sustainably will require a significant increase in agricultural investments, but also an improvement in their effectiveness. Farmers are the largest investors in developing country agriculture and must be central to any strategy for increasing investment in the sector, but if they are to invest more in agriculture they need a favourable climate for agricultural investment based on economic incentives and an enabling environment. Governments also have a special responsibility to help smallholders overcome the constraints they face in expanding their productive assets and to ensure that large-scale investments in agriculture are socially beneficial and environmentally sustainable. Government investment in agriculture is a crucial component of providing an enabling environment for private investments in the sector. Governments need to channel scarce public funds towards the provision of essential public goods with high economic and social returns.